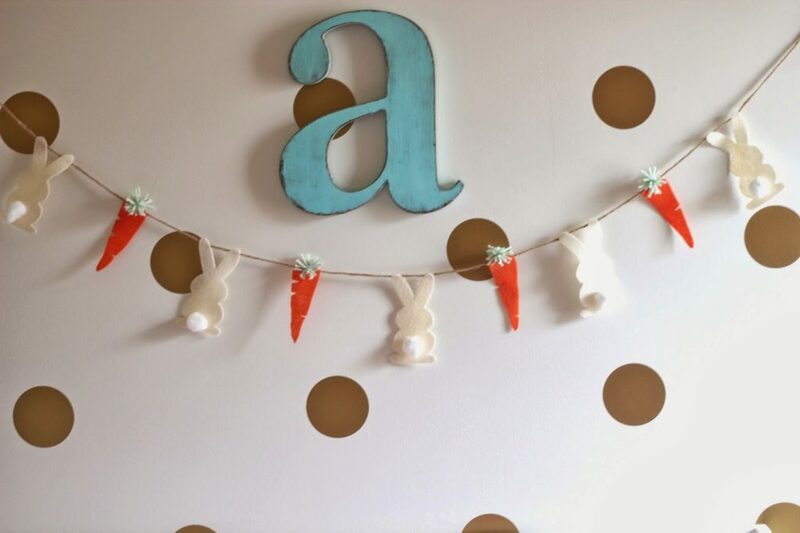 Easter is a very special holiday to my little family, not to mention all of the kids’ stuff that Target puts out every year is always so much fun to hang in Amara’s room. Amara has fun decorating her little tree (which we bought more decorations for this year) and hanging a wreath on her door. We just make a big deal out of it and she tells me how pretty it all is…. it is a win win really! I wasn’t super crazy about any of the garlands I came across, so I just decided to make my own. I wanted a more playful one since it was for a little girl’s room, ya know? 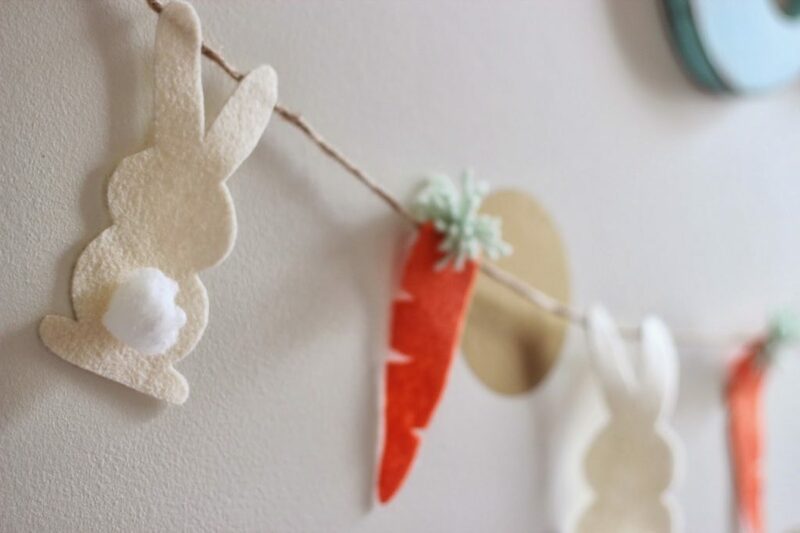 I settled on bunny tails and carrot sticks. I simply used the items I already had on hand, which made it free… which makes it awesome! 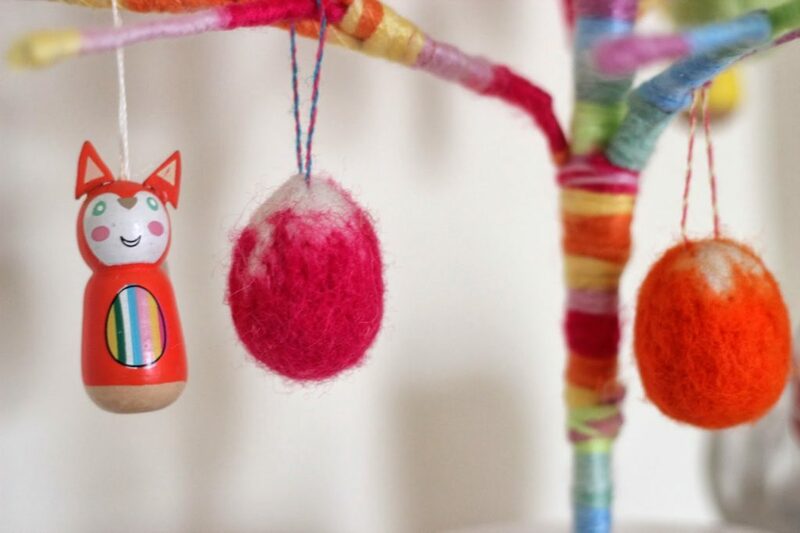 Items you will need: I freehanded these little guys, so feel free to do the same or you can trace my kindergarten drawing HERE, one sheet of orange felt, 2 sheets of cream felt, two cotton balls, green yarn, and twine of some sort! 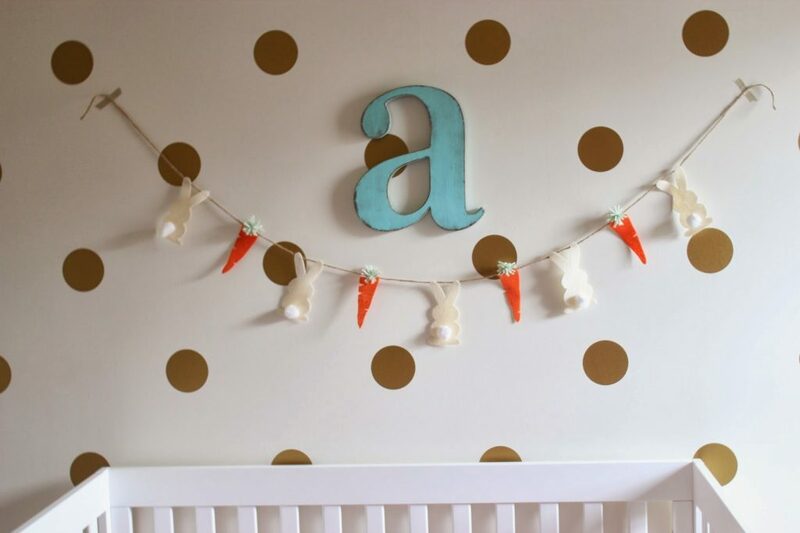 Here is a great tutorial for making poms carrot tops if you don’t already know how to do it. 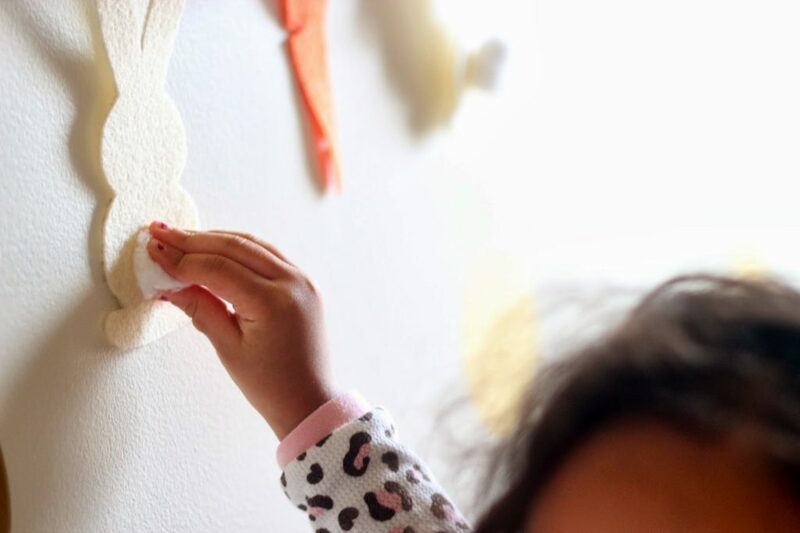 Simply trace and cut, make your poms, break apart your little pieces of cotton and roll them into balls and go to town with your hot glue gun! I bought this wreath and tree from Target! I probably could have saved some money and made this wreath by myself! 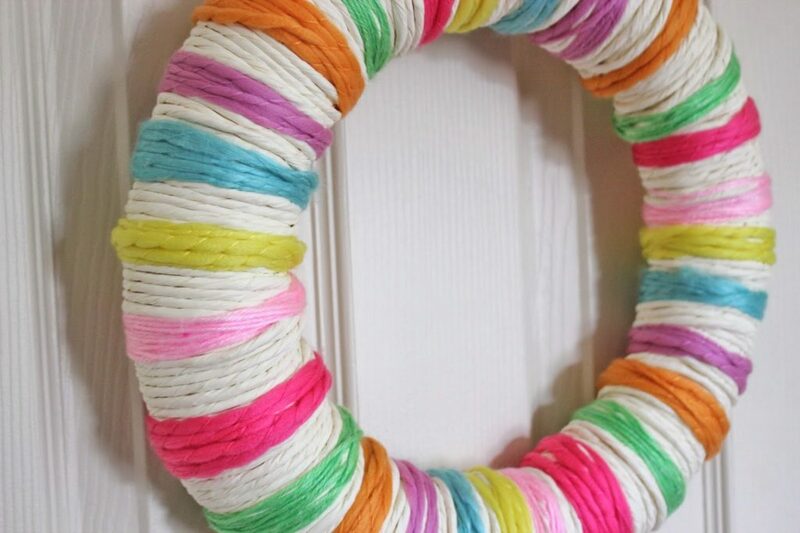 Twine, yarn and a wreath form??? I went a little “crazy shopper lady” and snagged it off the shelf since it was the last one. I wasn’t thinking clearly people. I will certainly make my attempt to explain what Easter is really all about to Amara, and I anxiously await the day when she “gets it”. In the meantime, it is a lot of fun to just put up pretty things!! 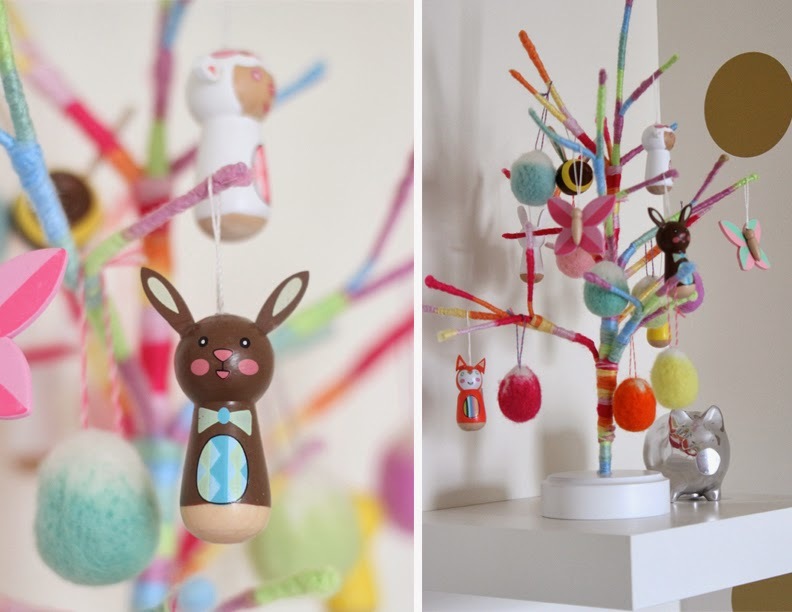 What are some of your favorite Easter traditions / things to do with you kiddos? Any suggestions on how to teach a toddler?